...the Southwest Michigan Symphony Orchestra has been an integral part of the cultural fabric of our community for almost 70 years. With a passion for changing lives through music, the SMSO strives to cultivate and inspire a diverse audience through professional musical experiences. Over the years, "Pops" and other specialty concerts have been incorporated into the regular season, along with appearances by both internationally-known and talented local artists. In 1978 the Lake Michigan Youth Orchestra was formed, bringing the musical education of area young people to the forefront of the Symphony's mission, along with the "Musicians in Schools" program, Master Classes, and the "Music Makers" program in partnership with the Boys & Girls Club of Benton Harbor. Summer concerts at area beaches and parks bring a diversified mix of live classic and popular music to an ever-expanding audience. The SMSO is quickly becoming the premier orchestra in the region. 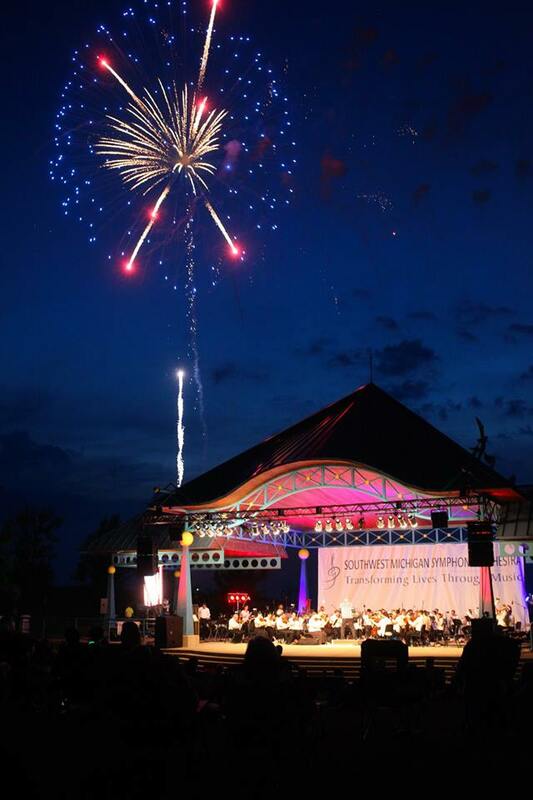 Donating to the Southwest Michigan Symphony Orchestra will help fund their public concerts as well as music education programs.